This article is the second part of the Sonic on the Go series. You can find the first part here. If Sonic Triple Trouble was the apex of Sonic’s Game Gear titles, its successor Sonic Blast was arguably the nadir. Aside from a few lousy spin off titles like Sonic Labyrinth and Spinball, no Sonic game on the system failed quite so hard as Sonic Blast did. Don’t get me wrong though, I still think Blast was a fun game personally. For all the hate I’ve seen the game get from retro fans, I don’t really think Blast is all that bad. Still, even if the game isn’t awful it was a huge step back for Sonic’s handheld adventures. The game is slow and kind of ugly. Though the technically impressive pre-rendered sprites look pretty good, the levels themselves are almost completely devoid of charm or color. The level lay out is simplistic and dull, lacking multiple hidden paths and areas that made the stages in Triple Trouble so fun to explore. 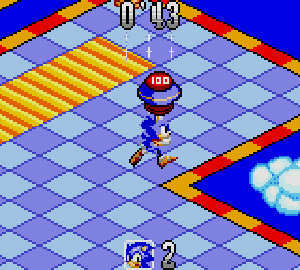 Finally, the game just moves too slowly, even for an 8-bit Sonic game. 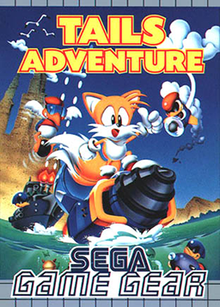 Triple Trouble managed to blow this game out of the water in almost every way imaginable, which a huge disappointment given that this game was Sonic’s swan song on the system. It’s a shame that developer Aspect threw away everything they had learned about Sonic game design and the Game Gear’s limitations to create was is effectively a tech demo. To Blast’s credit, though, it is an impressive tech demo. 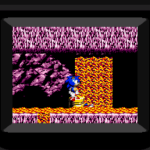 As the Game Gear counterpart to the Genesis’ technically impressive Sonic 3D Blast, Sonic Blast was tasked with accomplishing something similarly impressive on SEGA’s aging 8-bit hardware. In this regard Aspect was reasonably successful, creating the one and only Game Gear game that utilized pre-rendered sprites by pushing the Game Gear’s color capabilities to their max. Unfortunately this game at the expense of the game design, but it’s still nice to see the Game Gear was capable of such a feat. 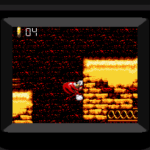 Blast also gave Knuckles his first handheld adventure. 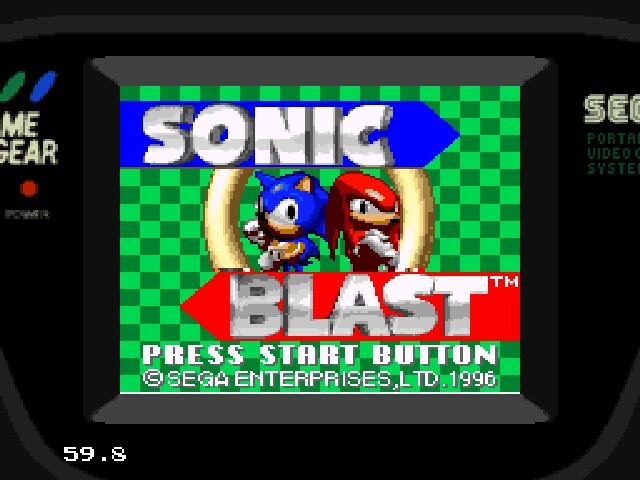 As a major fan of the character at the time, Knuckles’ inclusion instantly made Blast one of the most played games on my system. 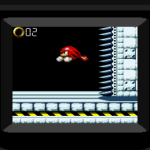 This game doesn’t disappoint either: Knuckles plays exactly as he should, complete with his gliding and climbing abilities. The bland level design does hold Knuckles back somewhat, but he does play well at least, and he’s a heck of a lot better than Sonic, who has lost his cool power ups from Triple Trouble and only got a double jump in return. After Triple Trouble constantly enticed me with the character’s presence, it was nice to finally play as Knuckles in the car in Sonic Blast. In hindsight, I do have to acknowledge that Sonic Blast wasn’t all that good, but it doesn’t negate all the fun I’ve had with it over the years. So if you’ve got the money to spare and want another Sonic game to play, I think you should check out Sonic Blast. 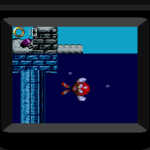 On the Game Gear it’s an interesting tech demo that demonstrates abilities no one thought the system had. On the 3DS it’s a mediocre Sonic game that can help kill an afternoon. Sonic has definitely done worse, both on and off the Game Gear. Even in terms of portable games, Sonic Blast would be followed up by what is arguably the worst Sonic game ever made: Sonic Jam on the Tiger Game.com. Fly Solo in Tails Adventure: Now on Nintendo 3DS eShop! Today truly does mark the day of the second fiddle for Nintendo gamers – not only has Mario’s lankier brother jumped into the spotlight with the release of New Super Luigi U on Wii U, but now Sonic’s twin-tailed sidekick has seen a re-release of one of his solo Game Gear outings on Nintendo 3DS. That’s right, folks… Tails Adventure is back! Tails Adventure was the second Tails game to hit the SEGA Game Gear handheld back in the day and sees Miles Prower traversing an island (referred to as “Cocoa Island” in Japan and “Tails Island” in the West) in order to stop an army of robotic birds known as the Battle Kukku Army. It’s a slower, more RPG-like experience with lots of item collecting and backtracking, so don’t go into this one expecting a high speed Sonic platformer! Using his flying ability and weapons like hammers, remote-controlled robots, and bombs (and we mean lots of bombs! 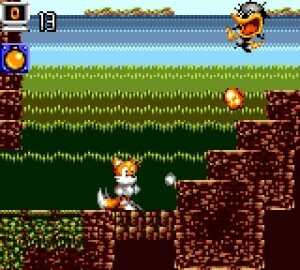 ), Tails has to make his way through several puzzles to save the day. The game is now available to download from the Nintendo 3DS eShop in Europe for £4.49. Will you be downloading Tails Adventure? Do you have any fond memories of playing it on the Game Gear? Let us know in the comments! SEGA eShop Blowout: Get Your Game Into Gear on the 3DS! No doubt continuing on from Nintendo and SEGA’s newfound partnership, today marks the release of not one, not two, not three, but four Game Gear games on the Nintendo 3DS eShop! 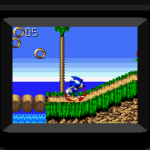 We’ve already seen the likes of Sonic Triple Trouble and Sonic Blast hitting the Big N’s 3D handheld system, but now you can add some more titles to your digital retro SEGA collection, with two Sonic themed games leading the pack. Continue reading SEGA eShop Blowout: Get Your Game Into Gear on the 3DS! A few months ago, the Australian Ratings Board posted listings for both Tails Adventure and Sonic Drift 2. Now the ESRB has followed suit, listing not only these games but also Sonic the Hedgehog G.G., the Game Gear/Master System version of Sonic 1. Of course, nothing is confirmed until SEGA confirms it, but with two ratings boards listing both TA and SD2, it’s probably safe to assume that we will at least be getting those games. 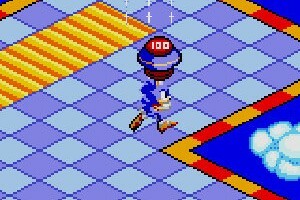 If you’d like to read about some of Sonic’s history on the Game Gear, go check out my article about Sonic Triple Trouble. Handheld Sonic games always seem to get the short end of the stick. 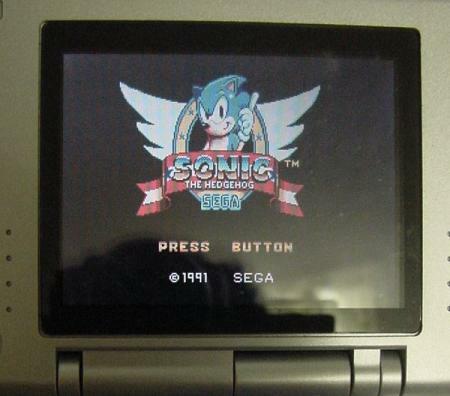 From the days of the Game Gear all the way up until today, it seems like Sonic’s quality portable outings are usually ignored in favor of worshiping or hating the console games. Now don’t get me wrong, many of Sonic’s best games have been on consoles, including the legendary flagship trilogy that launched the entire franchise. 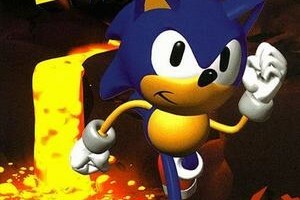 However, there have been plenty of great entries on a multitude of portables as well, even during the franchise’s so called “darkest days” in the mid-2000s when the best Sonic had to show for himself on the consoles were games like Sonic Heroes, Shadow, and Sonic06. With summer almost upon us, I thought I would take a look at some of Sonic’s portable games, and maybe convince some of you to try them out if you haven’t already! 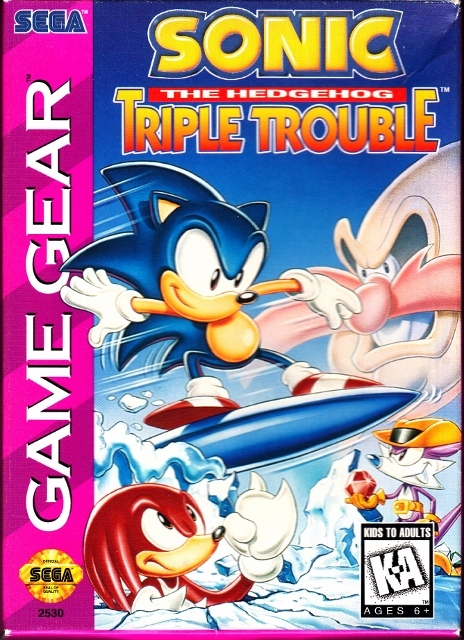 Among these great, under appreciated gems was Sonic Triple Trouble, a culmination of years of work on perfecting the formula on the 8-bit Game Gear. Tails Adventure could be on its way to the Nintendo 3DS Virtual Console, if a rating made by the Australian Ratings Board is any indication. The Game Gear game, one of two titles Tails stars in on the platform, was rated March 4th with SEGA Europe as publisher, suggesting the game could be on its way to Australia and Europe soon. RPG game Crystal Warriors, released recently in Japan, has also been rated. We’ll keep an eye out for further developments. Thanks to XD375 for the heads up! If you have a news tip, please send it to news@sonicstadium.org or tweet us @sonicstadium. UPDATE: It’s been rated for Nintendo 3DS by the US ratings board the ESRB, too. 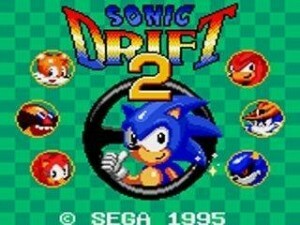 A new rating has appeared for the Game Gear title Sonic Drift 2, suggesting that the game may finally be heading overseas to the Nintendo 3DS eShop following its release last year in Japan. The racing title was rated January 8th by the Australian Classification Board, with SEGA Europe as publisher, meaning the game is likely at least heading to Australia and Europe sometime soon. Oddly, the game is listed for ‘DVD’ as the platform, but is most likely a mistake. We’ll let you know when we hear more. 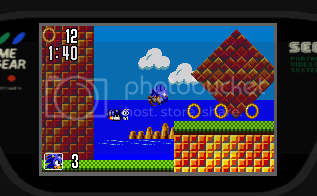 Following the recent downloadable re-releases of Sonic Triple Trouble and Sonic Labyrinth, the speedy blue hedgehog will be once again be hitting the Nintendo 3DS eShop this week in Sonic Blast for the SEGA Game Gear. 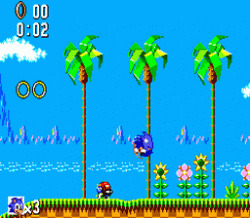 Originally released in 1996, the game is a traditional side-scrolling platformer which sees Sonic and Knuckles teaming up to collect the Chaos Emeralds and take down the evil Dr Ivo “Eggman” Robotnik. 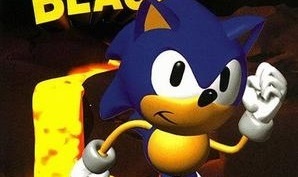 Sonic Blast was the last Sonic game released for the Game Gear and boasts pre-rendered graphics based on its similarly-titled counterpart, Sonic 3D Blast (known as Sonic 3D: Flickies’ Island here in Europe), giving it a unique look when compared to its other 8-bit brothers. European 3DS owners will be able to download the game from Thursday for £4.50. Are you planning to have a blast with Sonic Blast? Or do you think it’s more “blast to smithereens” than “blast processing”? Let us know in the comments! 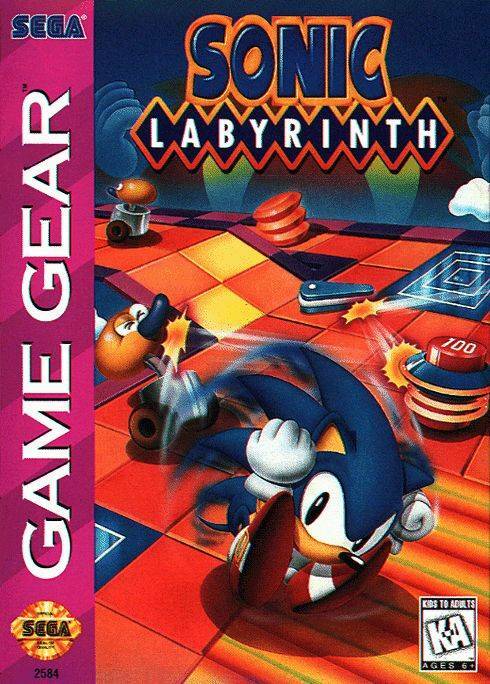 Following the release of Sonic the Hedgehog: Triple Trouble a while ago, SEGA will be releasing bizarre Game Gear title Sonic Labyrinth on the European Nintendo 3DS eShop today for £4.50. 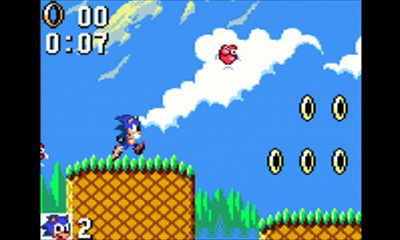 The game sees Sonic forced to slow down and instead spin dash around isometric grids to hunt down keys, destroy enemies and make his way to the goal before time runs out. Will you be downloading Sonic Labyrinth? Let us know in the comments. European gamers will finally be able to relive SEGA’s portable history with the launch of the Game Gear Virtual Console on Nintendo 3DS eShop this Thursday. Sonic the Hedgehog: Triple Trouble will be available for €5/£4.50, Shinobi for €4/£3.60, and Dragon Crystal for €3/£2.70. In the US, Sonic the Hedgehog: Triple Trouble has topped the eShop charts in both the game and video categories for the week ending March 26th 2012. Sonic Triple Trouble Arrives on Nintendo E-Shop (in America). A trio of Game Gear games arrive in the good ol’ USA on the Nintendo 3DS today with the top (and most expensive) one being Sonic Triple Trouble at $4.99 (American). Play as either Sonic or Tails (Tails?! Bah! Who’d wanna play as him in single player? Right guys?) and encounter Dr. Robotnik, Knack the Weasel and…..pink Knuckles as you hunt down the Chaos Emeralds and foil Robotnik’s latest scheme. The Game Gear titles will get a lot of cool new features including saving at any time, button configuration, “original or “special” performance (optional slowdown?) and optional original blur. Also, you can arrange your screen size by pixel perfect (with a Game Gear frame), widescreen or original 4:3. Also available are GG Shinobi ($3.99) and Dragon Crystal ($2.99). So now, you can have all the Game Gear fun without draining 6 AA’s every three hours! These GG games will arrive in Europe later this month. Continue on to see video of the three games in action. 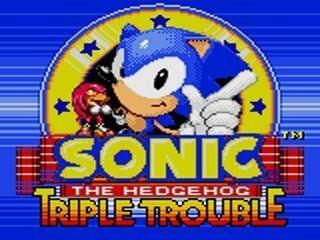 Continue reading Sonic Triple Trouble Arrives on Nintendo E-Shop (in America). The Australian Clarification Board has rated Sonic Blast and Sonic Labyrinth for the 3DS Virtual console. While I could think of much better Sonic Game Gear games to put on the 3DS, you gotta admit that it’s an…interesting choice. 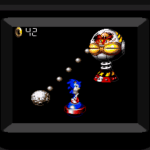 Sonic Blast is a 2-D platformer with 3-D rendered graphics (ALA Sonic 3-D Blast) and very choppy animation while Sonic Labyrinth is considered by many fans to be one of the worst Sonic games of all time. When these games will be available or in what countries is still unknown, but it should be later this year. In the meantime, read on to check out some gameplay videos from both of these titles. SEGA Re-Releasing Master System & Game Gear Games? A new listing has appeared at the Australian OFLC website that indicates SEGA are planning to re-release many of their Master System and Game Gear games. 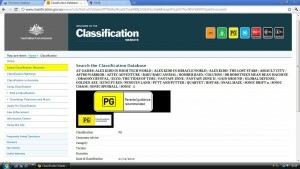 A variety of titles were all rated together in the listing with a PG rating, but no details beyond that such as platform and developer are given. 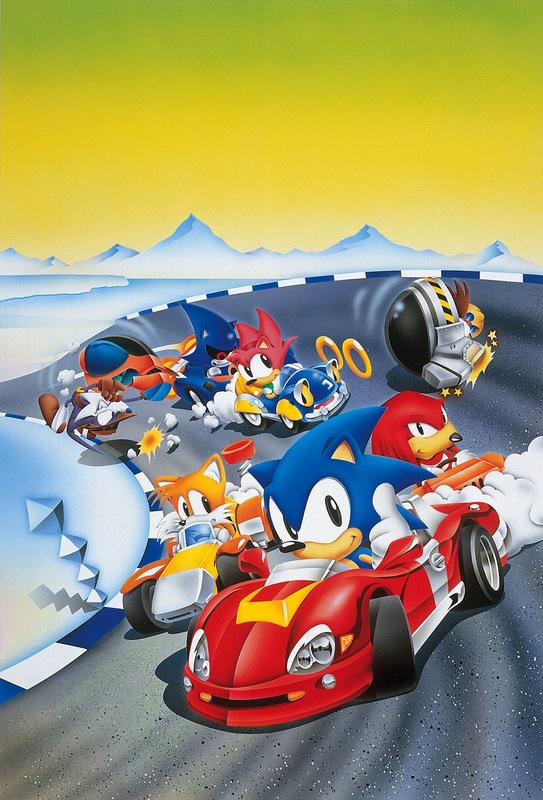 Among the games listed are four Sonic titles including Sonic Chaos, Sonic Drift 2, Sonic Spinball and an unnamed 4th game simply labelled “Sonic“. Some of the Master System titles have already been released on the Wii Virtual Console, so if they’re coming to a downloadable platform it’s more possible that these games could either be coming to PC Download, the App Store, Xbox Live Arcade, PlayStation Network or even SEGA’s online Play SEGA service. On the other hand, since the titles have all been rated together, then they’re very likely to be released on a disc collection, much like SEGA’s various Mega Drive/Genesis collections on PS2, PSP, Xbox 360, PS3 and recently on PC. We’ll keep an eye out for any further info/media that may come to light and pass it on. Meanwhile, share your thoughts in the comments. You’ve seen countless Genesis and Advance-styled Sonic fangames, but there is only one project out there that is channeling the look and feel of the 8-bit adventures. 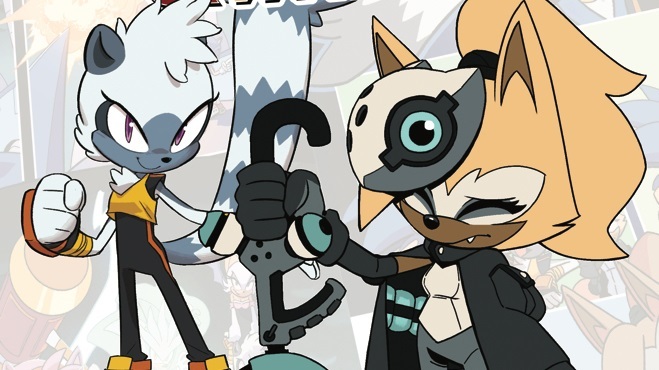 I’ve talked about Sonic Mayhem before and I have been always one to praise the project. Over the weekend, the project’s lead, Amesuki, has released a short demo, pictures of the new zones, and a gameplay video. The brief demo (download here) runs for about a minute and, to me, is a picture perfect re-creation of the 8-bit Sonic games. The music, the graphics, and the physics all feel correct. I just wish it were longer! Check the video for gameplay of one of the best fangames around and hit the break for screenshots of other levels. Fanatics: Game Gear Fangame Action! January 8th’s 9th’s featured player is my main man, Amesuki, and his glorious return to the fangaming scene. He has returned to shed some light on new details of his fangame, Sonic Chase, formerly known as Sonic Mayhem 2. 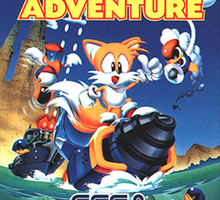 Sonic Chase is an 8-bit, Game Gear adventure, something that is rarely seen in the fangaming scene. Did I mention that there’s a demo? 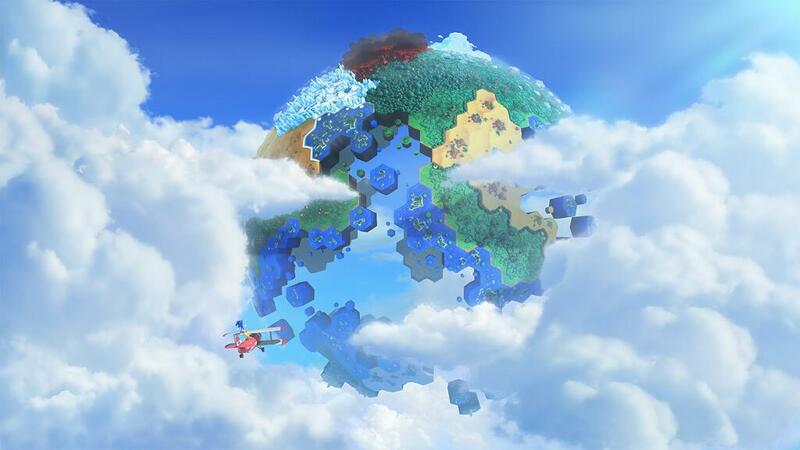 Amesuki is planning on making a staggering 25 zones for Sonic Chase. A number that is down from his originally planned 35, but it’s still a feat nonetheless. He is also trucking along in order to finish this game in time for SAGE 2009. He might be the only person there with a finished game! Hit the break for a gameplay video of Mechanic Coil, Act 1. Continue reading Fanatics: Game Gear Fangame Action!